The unification of electric and magnetic fields about 150 years ago in what is now known as electromagnetic theory expressed in Maxwell's Equations has enabled virtually all modern electrical, electronic, radio and photonic technologies. What new scientific breakthroughs and applications will unification with the other fields provide? This meeting brings together high-energy, optical, quantum and solid-state physicists to discuss recent developments enabled by Maxwell's Equations and will try to predict future innovations. A draft programme is available to download and recorded audio of the presentations will be available on this page after the event. This meeting is immediately followed by a related, two-day satellite meeting at the Royal Society at Chicheley Hall, home of the Kavli Royal Society International Centre. Participants are also encouraged to attend the related satellite meeting which immediately follows this event. Professor Anatoly V. Zayats is the head of the Experimental Biophysics and Nanotechnology Group at the Department of Physics, King’s College London, where he also leads Nano-optics and Near-field Spectroscopy Laboratory. He graduated and received PhD in Physics from Moscow Institute of Physics and Technology. His current research interests are in the areas of nano-optics, scanning probe microscopy, nanophotonics and plasmonics, metamaterials, nonlinear optics and spectroscopy, surface plasmons and polaritons, and optical properties of surfaces, thin films, semiconductors and low-dimensional structures. He is a holder of the Royal Society Wolfson Research Merit Award, a Fellow of the Institute of Physics, the Optical Society of America, SPIE and the Royal Society of Chemistry. Jonathan Ellis has made numerous contributions to the theory of elementary particles and especially unified gauge theories. Particularly notable were the first proposal of three jet structure (subsequently seen experimentally) as a gluon signal, and the first precise application of the renormalization group to grand unified theories, with the first precise estimate of sin2 θ W. Works on the theory of CP violation, on the phenomenology of the Higgs boson, and on the implications of grand unified theories for the generation of baryon number in the early Universe, have also attracted much attention. His gift for communication (his summer school lectures and reviews are models of their kind), and his special concern with the experimental implications of topical theories, make him a key figure in the discussion of new high-energy physics projects. Professor Pike has first degrees in both Mathematics and Physics and a PhD in X-ray diffraction from University College Cardiff, where he is now a College Fellow. He won a Fulbright Scholarship to the Physics Faculty, MIT, returning to the UK Royal Radar Establishment where he rose to Chief Scientific Officer with a visiting Professorship of Mathematics at Imperial College, London. He was then appointed Clerk Maxwell Professor of Theoretical Physics at King’s College, London, also Head of School of Physical Sciences and Engineering and a College Fellow. His main research fields are theoretical physics, quantum optics and the burgeoning mathematical discipline of inverse problems, founding its first Journal. 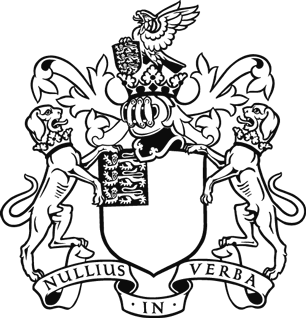 Awards include Royal Society Charles Parsons Prize, McRobert Award of the Confederation of Engineering Institutions, Annual Achievement Award of the Worshipful Company of Scientific Instrument Makers, Civil Service Award to Inventors and Guthrie Medal and Prize of the Institute of Physics. The idea of unification has played a key role in the major advances in physics. Maxwell’s unification of electricity, magnetism and light was one of the great steps forward. A more recent advance in the same direction was the development of the unified electroweak theory, incorporating the symmetry-breaking Higgs mechanism. This talk will review the early history of this development as seen from the standpoint of a member of Abdus Salam's group at Imperial College. It will describe the state of physics in the years after the Second World War, explain how the goal of a unified gauge theory of weak and electromagnetic interactions emerged, the obstacles encountered, in particular the Goldstone theorem, and how they were overcome, followed by a brief account of more recent history, culminating in the historic discovery of the Higgs boson in 2012. Tom Kibble was educated in Edinburgh and joined the Theoretical Physics Group at Imperial College London led by Professor Abdus Salam in 1959. He became Professor of Theoretical Physics in 1970, and was Head of the Physics Department from 1983 to 1991. 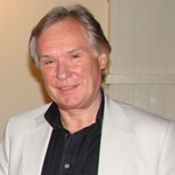 He retired in 1998 and is now Emeritus Professor and Distinguished Research Fellow. Tom’s research interests have been in quantum field theory, high-energy particle physics and cosmology, especially spontaneous symmetry breaking and topological defect formation. He is best known for work on the mechanism for giving mass to gauge bosons, and was one of the first proponents of the idea of cosmic strings which may have been formed in the very early Universe. Kibble was elected FRS in 1980 and knighted in 2014. Among numerous other awards, he has received Royal Medals from the Royal Societies of both London and Edinburgh. Maxwell's equations arose in the study of electrodynamics, but their influence in fundamental physics has been far wider. Our present theories of the strong and weak subnuclear forces are based on profound, but conceptually simple, generalizations of Maxwell's equations. The deep concept of local symmetry, which emerged from the study of Maxwell's equations, underlies all these theories, and also general relativity, our theory of nature's remaining force. These commonalities give guidance for constructing a unified theory of all the forces. In recent years the probable structure of that theory has clarified. The unified theory leads to several qualitative and semi-quantitative insights that go beyond the theories of the separate forces, and to one major quantitative success. The theory suggests many new phenomena, whose existence - or not - is the subject of ongoing experimental investigations. Professor Frank Wilczek is one of the most eminent theoretical physicists at work today. When only 21 years old and a graduate student at Princeton University, in collaboration with David Gross he discovered the fundamental equations for one of the four basic forces of nature: the strong force. That work led to a Nobel Prize. He is also known, among other things, for the development of unified field theories, the invention of axions, and the discovery and exploitation of new forms of quantum statistics (anyons). At present, he is working on the expansion of perception, both for practical purposes and for exploration of the quantum world. Professor Wilczek has received many honors. Notably, he was among the earliest MacArthur Fellows (1982-87) and in 2004 he received the Nobel Prize in Physics. 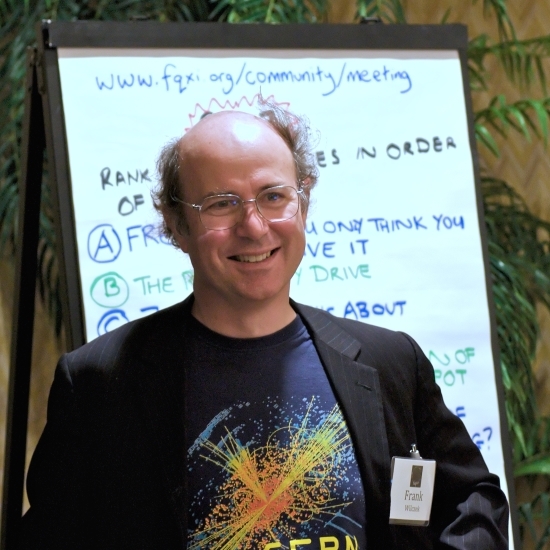 He contributes regularly to Nature and to other scientific forums, explaining topics at the frontiers of physics to wider scientific audiences, and is much in demand as a public lecturer. His new book, A Beautiful Question (Penguin), will be appearing in July 2015. 11:00-11:30 Standard model: how far can it go, and how can we tell? The Standard Model of particle physics encapsulates our current best understanding of physics at the smallest distances and highest energies. It incorporates Quantum Electrodynamics (the quantised version of Maxwell’s electromagnetism) and the weak and strong interactions, and has survived unmodified for decades, save for the inclusion of non-zero neutrino masses after the observation of neutrino oscillations in the late 1990s. Butterworth will review a selection of these successes, including the remarkably successful prediction of a new scalar boson, a qualitatively new kind of object observed in 2012 at the Large Hadron Collider. New calculational techniques and experimental advances challenge the Standard Model across an ever-wider range of phenomena, now extending significantly above the electroweak symmetry breaking scale. Butterworth will outline some of the consequences of these new challenges, and discuss some speculative ideas of new physics which there may still be to find within the Standard Model itself. Jon grew up in Manchester and did his degrees at Oxford University. He worked at the DESY laboratory in Hamburg, first employed by Penn State University (1992-1995), then by UCL. Since 2000 he has worked on the ATLAS experiment at the CERN Large Hadron Collider, first helping build it, and then analysing the data, especially on hadronic jets. He is currently head of Physics & Astronomy at UCL. He writes regularly for the Guardian, and recently published a book, Smashing Physics, about his experiences working on the discovery of the Higgs Boson. The Large Hadron Collider (LHC) at CERN and its experiments were conceived to tackle the profound open questions in particle physics, such as why the particles carrying the weak interactions are massive whereas the photon associated with Maxwell's theory is massless. The mechanism for generating particle masses has been elucidated with the discovery of the Higgs boson. Many open questions still await clues or answers, from the LHC and other experiments, including the composition of dark matter and of dark energy, why there is more matter than antimatter, do we live in more dimensions than the familiar four and what is the exact path to take to attain the unification of all the fundamental forces. This talk will discuss the status of, and prospects for, the search for new particles, symmetries and forces in order to address the open questions. Tejinder (Jim) Virdee is Professor of Physics at Imperial College, London. After the UA1 experiment (1990), where W and Z bosons were discovered, Virdee concentrated on the physics and experimentation at CERN’s Large Hadron Collider. He is one of the founding members of the Compact Muon Solenoid Collaboration (CMS) at the LHC. Virdee has played a major role in all phases of the experiment, from conception and design, through construction to the extraction of science that have already lasted around 25 years. He pioneered some of the techniques used in its calorimeters crucial for the discovery of a Higgs boson announced by the CMS experiment in July 2012, along with the sister experiment ATLAS. Virdee was the Spokesperson of the CMS Collaboration for three years, from 2007, that included the start of collision data taking, and was its Deputy Spokesperson from 1993 to 2006. Virdee’s current work involves studies of the newly found Higgs boson, search for physics beyond the standard model of particle physics and the definition of the upgraded CMS detector for very high luminosity LHC running. Amongst the prizes he has won is the 2013 European Physical Society-HEPP prize co-awarded for his “pioneering and outstanding leadership role in the making of the CMS experiment”. Virdee was made Knight Bachelor in 2014. Collisions at high energies and intensity, light shining through walls, satellites deciphering the echoes of the Big-Bang - these are few examples of the ingenuity displayed in searching for physics beyond the Standard Model. Alas, proposals beyond the Standard Model abound, leading to a theoretical landscape which would seem far too extensive to be explored. However, this talk will explain how this search is about bringing to light new principles in Nature, principles which would explain the puzzles in the Standard Model and provide a deeper and more unified understanding of Particle Physics. These principles will then be used as a guide to describe the numerous proposals of new physics, as well as give examples of what kind of new phenomena they predict. Born in Spain, Veronica Sanz held postdoctoral positions at Durham and Boston. Sanz was a visiting scholar at Harvard and got a Marie Curie at Yale. 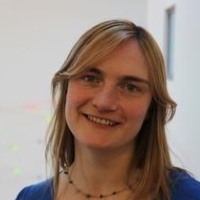 She obtained a professorship at York (Canada) in 2008, was an Associate at CERN in 2012 and moved to the UK in 2013. Joe Bhaseen has been a lecturer in the Department of Physics at King's College London since 2012. His research in theoretical condensed matter physics is in the area of strongly correlated systems. His research interests include field theory approaches to quantum many body systems, cold atomic gases and matter-light systems. He is currently working on the dynamics of strongly correlated systems out of equilibrium, including condensed matter applications of gauge-gravity duality. Much of our understanding of physical order in the world around us is based on the notion of symmetry breaking. A case in point is the macroscopically detectable magnetistion direction of a ferromagnet, which disappears as symmetry is restored upon heating to a paramagnetic phase. More exotic is the situation of a phase which is not a paramagnet but still breaks no symmetry. Such a topological magnet can exhibit emergent gauge fields as natural degrees of freedom. This talk presents the case of spin ice, a magnetic material whose description takes on a form very close to that of Maxwell electromagnetism. Spin ice is able to sustain magnetically charged quasiparticles (`magnetic monopoles') linked by observable `Dirac strings'. In fact, its quasiparticles are doubly gauge charged, under both emergent as well as intrinsic Maxwell electromagnetism, exhibiting a fractional (irrational) magnetic charge for the latter. 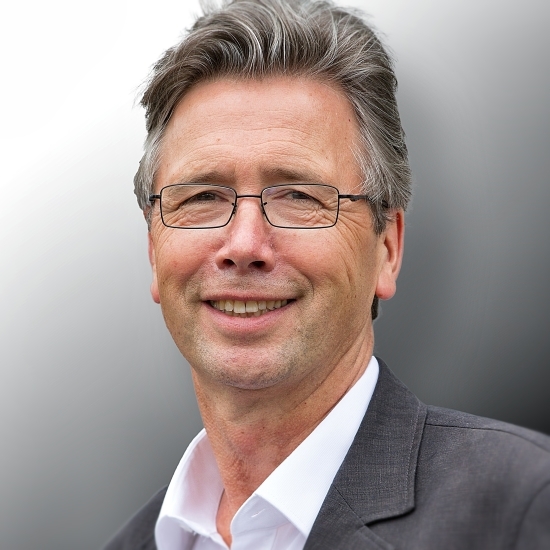 Professor Roderich Moessner is director at the Max Planck Institute for the Physics of Complex Systems. He has previously held faculty positions at Ecole Normale Superieure in Paris as well as at Oxford University, where he had also done his doctoral studies, which were followed by a postdoctoral appointment at Princeton University. His research interests are in theoretical condensed matter and statistical physics as well as quantum information theory. In particular, he investigates the physics of strong fluctuations in many-body systems, which may be due to frustration, competing degrees of freedom or quantum fluctuations. Among the prizes he has received are the Europhysics Prize of the Condensed Matter Division of the European Physical Society, as well as the Leibniz Prize of the German Science Foundation. The theoretical implications of recent experiments on the copper-based high temperature superconductors will be presented. Models with long-range quantum entanglement are argued to describe key aspects of the observations. The representation of the quantum entanglement requires electric and magnetic fields, much like those found in Maxwell’s theory. But here these fields `emerge’ from the quantum structure of the many-electron state, rather than being fundamental degrees of freedom of the vacuum. 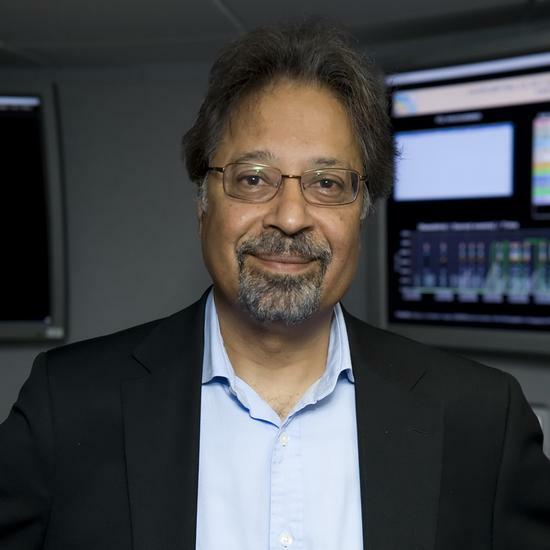 Subir Sachdev is a condensed matter physicist well known for his research on quantum phase transitions and its application to a variety of quantum materials, such as the high temperature superconductors. His research seeks to illuminate the boundary between the everyday world we live in - in which many but not all phenomena can be explained through classical physics - and the subatomic world of quantum physics. These two worlds come together at a ‘quantum phase transition’, where there is a change in the macroscopic character of the quantum state describing a many-particle system, and manifestations of quantum entanglement appear naturally at long distances. His book Quantum Phase Transitions (Cambridge University Press, 1999 and 2011) has formed the basis of much subsequent research. More recently he has pioneered application of the remarkable connection between the nature of quantum entanglement near the horizons of black holes, and the entanglement in quantum materials. Sachdev is a member of the US National Academy of Sciences and has been awarded several honors, among them Dirac Medal in 2015, the Lorentz Chair in 2012, and the Salam Distinguished Lecturer in 2014. The idea of an electric field exciting charge pairs from a real or effective vacuum transcends science. Examples include thermionic emission (electron-image charge pair), Poole-Frenkel conduction (electron-hole pair), the second Wien effect of electrochemistry (anion-cation pair) and the Schwinger mechanism of excitation from the Dirac sea (electron-positron pair). Recent theoretical and experimental work has confirmed the analogous process for the magnetic field-induced creation of emergent monopole-antimonopole pairs in spin ice. Here, the field-induced charge generation takes the form of a modified Wien effect, for which a remarkable (essentially exact) theory was derived by Onsager in 1934. This talk will describe the latest experiments to detect and characterise the Wien effect for emergent magnetic monopoles in spin ice . 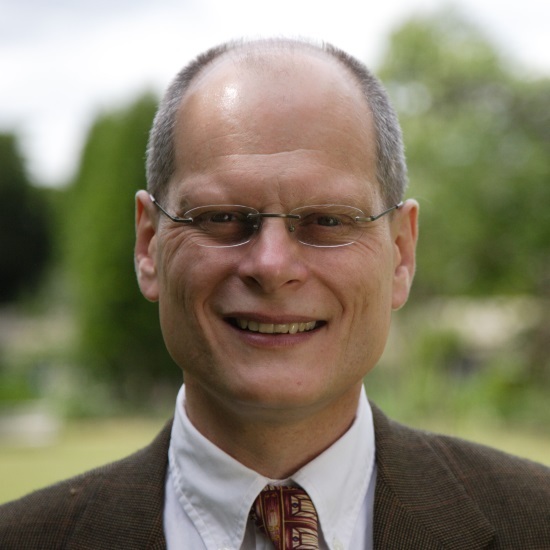 Steve Bramwell graduated from Oxford with a degree in Chemistry in 1984, then held positions in Oxford and Grenoble, before joining UCL in 1997. 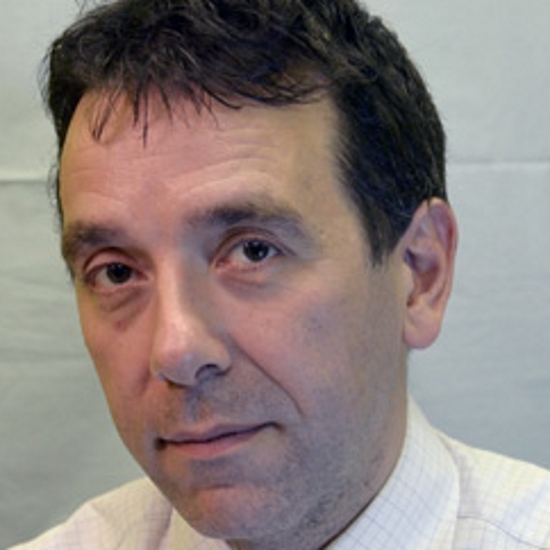 Formerly a Professor of Physical Chemistry, he is now in the Department of Physics and Astronomy at UCL. 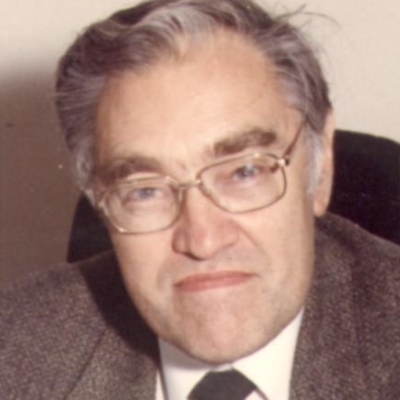 Alongside his 1997 discovery and naming of spin ice (with MJ Harris), he is known for his calculation of β = 0.23, a key critical exponent for magnetic films (with PCW Holdsworth, 1993) and a probability distribution named after him (the Bramwell-Holdsworth-Pinton Distribution, 1998). 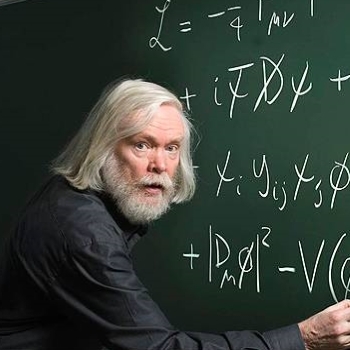 He was awarded the 2010 Holweck Prize of the British Institute of Physics and the French Societe de Physique, to recognise his work on model magnets, and he was the co-recipient of the 2012 European Physical Society CMD Europhysics Prize for the discovery of magnetic monopoles in spin ice. His discovery of "magnetricity" in spin ice was recognised by the Times Higher Research project of the Year, 2010 and he appeared on The Times's 2010 list of the 100 most important UK scientists. He presented the 2012 Wohlfarth Lecture of the IOP. The publication by Kao and Hockham in 1965 of what has become accepted as the first serious analysis of the prospects for optical fibre communications had on its first page “Solving the Maxwell equations under the boundary conditions imposed by the physical structure….”, followed by the famous expressions for the optical modes in a cylindrical geometry and the observation that the lowest order HE11 mode in a fibre had no cut-off. Since that time, mode control in optical fibres has been key to optical fibre development, be it limiting the modal diffusion (coupling) in multimode fibres, to minimising bend or microbend losses, or to controlling the ‘modality’ and modal instability in high-power lasers operating at kilowatt levels. The progress of optical fibres is charted over the decades through understanding the guidance conditions set out by Maxwell, or their ‘weakly-guiding’ simplifications. Particular examples are at the two extremes of fibre performance, the 0.146 dB/km of today’s ULL (ultra-low loss) fibres and the remarkable kWatt power handling ability of large core fibres. The prospects for new air core fibres with very different guidance mechanisms than that analysed by Kao and Hockham will be examined and some predictions for the future will be made. Professor Sir David Payne is a Professor of Photonics and Director of the Optoelectronics Research Centre (ORC) and the Zepler Institute at the University of Southampton. He has published over 650 Conference and Journal papers and is co-inventor on over 40 patents. Over the last forty years, he has made numerous key contributions in optical fibre communications and laser technology. His work in fibre fabrication in the 1970s resulted in most of the special fibres used today, including the revolutionary erbium-doped fibre amplifier (EDFA) and kilowatt-class fibre lasers for manufacturing and defence. He is a Fellow of the UK Royal Society, the UK Royal Academy of Engineering, the Optical Society of America, the UK IET and the UK IoP. 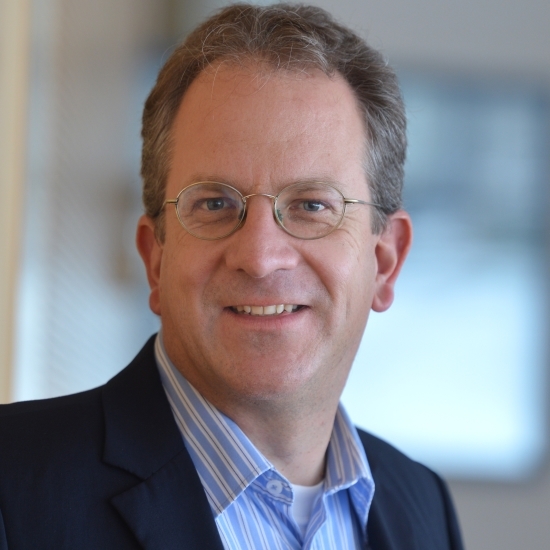 As an entrepreneur, he co-founded York Technologies, (now PK Technology Inc.), Fibercore, SENSA (now part of Schlumberger) and SPI Lasers plc (now part of the Trumpf Gruppe). 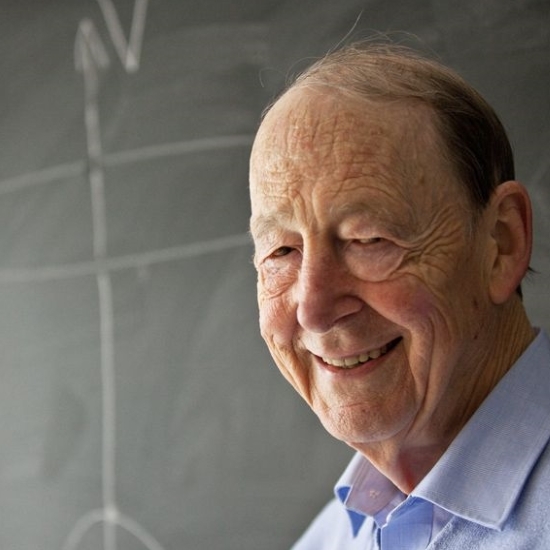 He was the 2014 IEEE/RSE Wolfson James Clerk Maxwell Awardee. Patterning surfaces with subwavelength spaced metallo-dielectric features (metasurfaces) allows one to generate complex wavefronts by locally controlling the amplitude, phase and polarization of the scattered light. Recent results on achromatic lenses and collimators as well as chiral holograms will be presented. 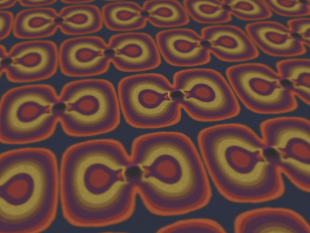 Metasurfaces have also become a powerful tool to shape surface waves. Professor Capasso will present experiments on imaging SPP that have revealed the formation of Cherenkov SPP wakes and their control with one dimensional metastructures and on polarization sensitive light couplers that demultiplex focused SPP beams depending on their wavelength and polarization. 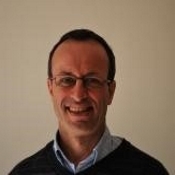 Federico Capasso is the Robert Wallace Professor of Applied Physics at Harvard University, which he joined in 2003 after 27 years at Bell Labs where he was Member of Technical Staff, Department Head and Vice President for Physical Research. He pioneered band-structure engineering of semiconductor nanostructures and quantum devices, including the invention and realization of the quantum cascade laser and reported the first measurement of the repulsive Casimir force. In the last decade he has focused on wavefront control using plasmonics and on a new approach to diffractive optics based on metasurfaces, known as flat optics. Key results of this research include the formulation and demonstration of the generalized laws of refraction and reflection and aberration free flat lenses. He is a member of the National Academy of Sciences, the National Academy of Engineering, a fellow of the American Academy of Arts and Sciences and a foreign member of the Accademia dei Lincei. His awards include the IEEE Sarnoff Award, the Materials Research Society Medal, the Franklin Institute Wetherill Medal, the Rank Prize in Optoelectronics, the Optical Society Wood Prize, the IEEE Edison Medal, the American Physical Society Arthur Schawlow Prize in Laser Science, the King Faisal Prize, the Berthold Leibinger Zukunft Prize, the Julius Springer Prize in Applied Physics, the Institute of Physics Duddell Medal, the Jan Czochralski Award for lifetime achievements in Materials Science, the European Physical Society Quantum Electronics Prize, the SPIE Gold Medal and the Gold Medal of the President of Italy for meritorious achievement in science. He holds honorary doctorates from Lund University, Diderot University and the Universities of Bologna and Roma II (Tor Vergata). When molecules or molecular materials are placed in the confined electro-magnetic fields which are resonant with a molecular transition, new hybrid light-matter states can be formed and the molecules are said to be 'dressed'. This can occur even in the dark due to strong coupling with the vacuum electromagnetic field. The hybrid light-matter states are here collective states involving a large number of molecules and they may modify strongly the electronic and vibrational energy levels of the system. Such features have significant implications for molecular and material sciences that are just beginning to be explored. This potential will illustrated with examples from chemical reaction rates to bulk material properties. Thomas W. Ebbesen was born in Oslo, Norway. He received his bachelor degree from Oberlin College, Ohio, and his PhD from the Curie University in Paris. Ebbesen then worked both in academic and corporate research institutions, such as the NEC Fundamental Research Laboratory (Tsukuba) and NEC Research Institute (Princeton), before returning to France in 1999 to help build a new laboratory at the University of Strasbourg, ISIS, which he headed from 2005 to 2012. He is currently the director of the International Center for Frontier Research in Chemistry and the University of Strasbourg Institute for Advanced Study. He holds the chair of physical chemistry of light-matter interactions. Ebbesen has received many awards for his pioneering research, including the 2014 Kavli Prize in Nanoscience for his transformative contribution to the field of nano-optics. He has been elected to the Norwegian Academy of Science and Letters and the French Academy of Science. Published 150 years ago Maxwell¹s equations were at least as startling as any of the modern advances in physics. They identified electricity and magnetism as the components of light, and laid the foundations for the special theory of relativity by requiring that they were reconciled with Newton¹s equations of motion. On their foundations mighty industries have been founded and to this day they still have new facets to be revealed. The equations are known to be invariant under a coordinate transformation and this observation has been exploited in the new tool of transformation optics. Modern studies in electromagnetism go far beyond traditional optics often working in regimes where the length scales are much shorter than the wavelength where such intuitive but approximate rules such as Snell¹s law lose their validity. Transformation optics discards the concept of a ray and works instead with the electric and magnetic field lines which obey Maxwell¹s equations. Manipulating these fields gives back the intuitive feel of the ray picture but at the same time is exact. Distortion of a field line can be represented as a transformation, which in turn tells what values of permittivity and permeability are needed to shape the fields in this way. Whilst adding nothing to the accuracy of the Maxwell¹s equations, this concept provides a picture on which we can unleash our imaginations. Applications to cloaking devices and to the sub wavelength design of plasmonic devices will be described. John Pendry was born in the UK in 1943. He studied physics at Cambridge University and after a year working at AT&T Bell Laboratories in New Jersey he moved to the UK synchrotron radiation source at Daresbury to head the theory group before moving on to his present position at Imperial College London in 1981. Pendry’s early research was in surface science, and later on the theory of waves in disordered systems. Now his main interests lie in optics and electromagnetism where he invented a new class of materials, metamaterials, whose properties derive more from their internal structure than from their chemistry, leading to the first realisation of a negative refractive index. He showed that these materials could be used to break the notorious diffraction limit which postulates that light cannot see anything smaller than its wavelength, typically about a millionth of a metre. The new lens is theoretically perfect limited only by how accurately it is manufactured and has stimulated many experiments designed to squeeze light down to nanometre dimensions. James Clerk Maxwell was responsible for a transformation in the way we regarded the electrical and magnetic forces, building on the experimental (and intuitive) notions of Michael Faraday to unite these in a single field-theoretic construct. In doing so he began the search for the unification of the fundamental forces that continues to dominate modern physics. This closing talk will stress how Maxwell’s work presaged special relativity (and indeed survived it) and how his field theoretic notions persisted in the new world of quantum theory, and indeed as previous talks in this meeting have demonstrated provide a framework to understand novel field theories, laser optics, transformation optics, quantum optics and the optics of novel materials. 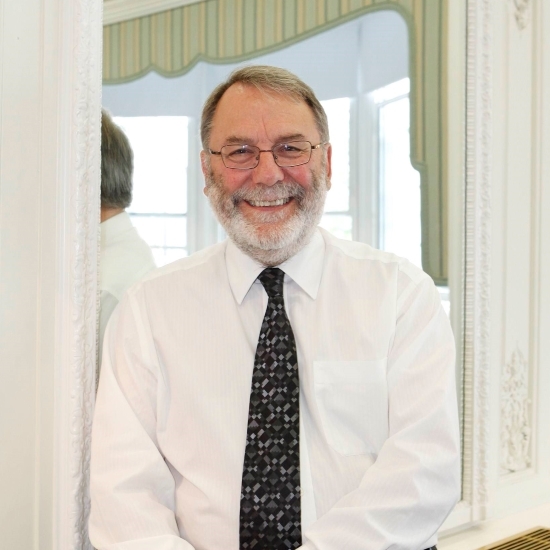 Peter Knight is Senior Research Investigator at Imperial College and Senior Fellow in Residence at The Royal Society’s Chicheley Hall and a past President of the Institute of Physics. He retired in 2010 as Deputy Rector (Research) at Imperial. 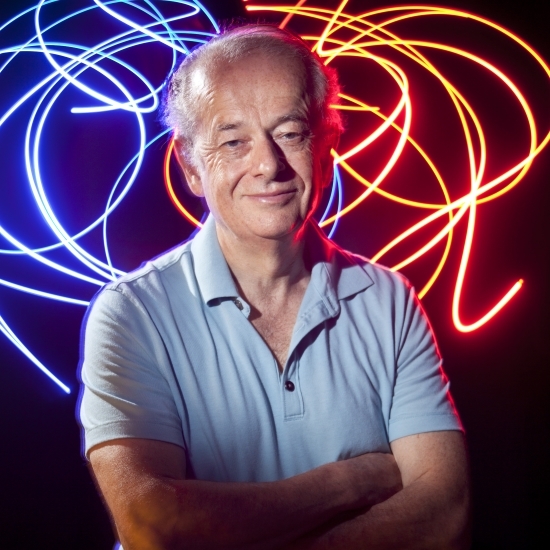 He was knighted in 2005 for his work in optical physics. Peter Knight was the 2004 President of the Optical Society of America. He is Editor of Contemporary Physics, a member of the UK Quantum Technology Initiative Strategy Advisory Board, chairs the Quantum Metrology Institute at the National Physical Laboratory, was until 2010 chair of the UK Defence Scientific Advisory Council and remains a UK Government science advisor. His research centres on quantum optics and quantum technology. 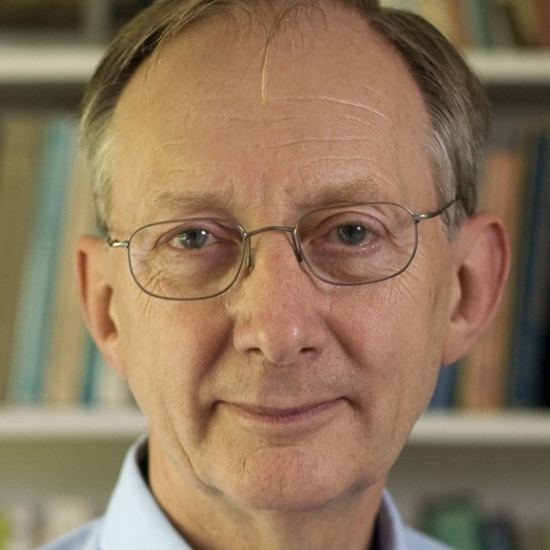 He has won the Thomas Young Medal and the Glazebrook Medal of the Institute of Physics, the Ives Medal of the OSA and the Royal Medal of the Royal Society. He is a Council Member at Sussex University. Light enables exploration of quantum phenomena that illuminate the basic properties of nature, as well as enabling radical new technologies based on these phenomena. Indeed quantum optics has provided the impetus for many of the most far-reaching discoveries in quantum physics, yielding experimental evidence about quantum correlations that has changed the way in which we understand the natural world, such as, for instance, the inadequacy of local hidden variable models. Easily accessible quantum characteristics have also made quantum light a key enabler for emerging new technologies, primarily in new modes of information processing, including sensing, imaging, communications, simulation and computation. Indeed many of the cornerstone protocols of quantum information science were first realized optically, including teleportation and cryptography. Quantum optics is one of the most promising platforms for these new technologies, and it is driving forward the quantum information revolution. The critical features of quantum light that underpin the opportunities for discovery and application are exceptionally low noise and strong correlations. Rapid progress in both science and technology have been stimulated by adopting components developed for optical telecommunications and networking such as highly efficient detectors, integrated photonic circuits and wave-guide or nanostructure based non-linear optical devices. These provide the means to generate new quantum states of light and matter of unprecedented scale, which will contain many photons with quantum correlations across widely separated nodes of a network. Remarkably, networks with only several tens of photons are already beyond what can be efficiently analysed using current computers. Ian Walmsley is the Hooke Professor of Experimental Physics at the University of Oxford, where is also the Pro-Vice-Chancellor for Research and Innovation. He was educated at Imperial College, London, and The Institute of Optics, University of Rochester, USA, where he later became a Professor of Optics. 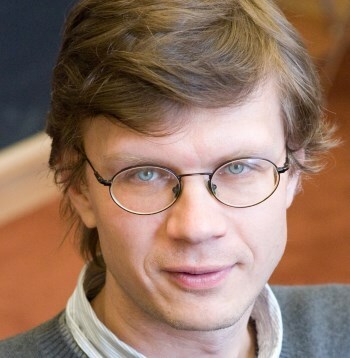 His group's research covers a broad range of optical science and engineering, particularly in the areas of ultrafast, nonlinear and quantum optics His research explores both fundamental properties of light and light-matter interactions, as well as developing applications of light in quantum technologies. Recent developments at a new scientific interface between quantum optics, nanoscience and quantum information science will be discussed. Specific examples include the use of quantum optical techniques for manipulation of individual atom-like impurities at a nanoscale and for realization of hybrid systems combining strongly coupled quantum emitters and nanophotonic devices. These techniques are used for realization of quantum nonlinear optics and quantum networks, and for new applications such as magnetic resonance imaging with single atom resolution. 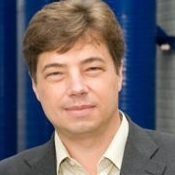 Mikhail Lukin received his PhD from Texas A&M University in 1998. He has been a Professor of Physics at Harvard since 2004, where he is currently a co-Director of Harvard-MIT Center of Ultracold Atoms. His research interests include quantum optics, quantum control of atomic and nanoscale solid-state systems, quantum metrology, nanophotonics and quantum information science. He has co-authored over 300 technical papers and has received a number of awards, including Alfred P. Sloan Fellowship, David and Lucile Packard Fellowship for Science and Engineering, NSF Career Award, Adolph Lomb Medal of the Optical Society of America, AAAS Newcomb Cleveland Prize, APS I.I. Rabi Prize, Vannevar Bush Faculty Fellowship and Julius Springer Prize for Applied Physics. He is a fellow of the OSA, APS and AAAS. Quantum dots are semiconductor artificial atoms. They are nanoscale structures that trap single electrons and holes, and their quantized energy level structure results in atomic-like transitions and single photon emission. These quantum dots act as a solid-state interface that is useful for quantum information applications, and for the past decade, semiconductor physicists have been attempting to replicate atomic cavity quantum electrodynamics in a practical semiconductor form. One can embed quantum dot into micron-sized photonic structures to capture and control the light emission, in order to use the single photon emission in quantum communication and quantum circuits. One of the most exciting applications of quantum dots is to use their electron spins as a quantum memory. This involves transferring spin information from an electron spin to the polarization of a photon. However, as I shall explain, the definition of 'polarization' for nanophotonic structures is far more complex than for a beam of light. 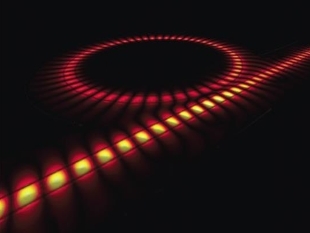 In fact, we find that point-like 'spin' emitters couple to a photonic structure in surprising ways: unlike any phenomenon observed in bulk material, simply changing the position of an emitter or the spin direction controls completely in which direction photons propagate. Suddenly, a rich variety of behaviour has arisen in the semiconductor/photonic domain which has no equivalent in atomic cavity QED, including a fundamental difference between how a classical dipole and a quantum dipole emitter interfere with incoming light. Ruth Oulton’s field of research involves the study of nanoscale semiconductor devices that enable the exchange of “quantum” information between a single electron and a single photon. The idea is that they can use the rules of quantum mechanics to perform computing and measurements in a completely new way. She take ideas from quantum theory and information science, bring them together with what we are beginning to understand about semiconductors on the nanoscale, and to make working quantum devices that engineers will use as part of their everyday toolkit. 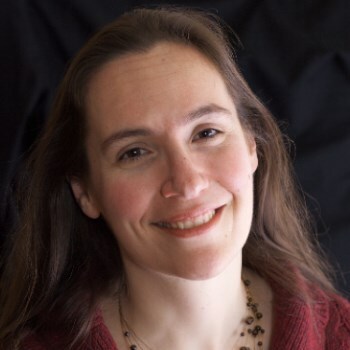 In her recent work she studies single electron spins in atomic-like systems, and studies how the angular momentum of the photon and spin exchange information, and how photonic design can influence this. In other interdisciplinary side projects she studies the role of photonic structures in plants such as seaweed and begonias.